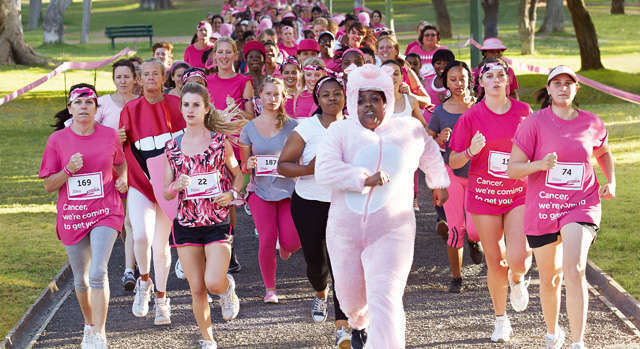 It has been awhile since we have had an event just for the ladies and so we thought it would be a great idea to put some teams together for the Race for Life in Harrogate on 15 June. The event will take place at 11 am on the Stray. We will have two teams, one for the 5K run and one for the 10K distance. If you would like to participate, please register here under team names CFH Ladies 5 or CFH Ladies 10 and then drop an email to Kate (kate@crossfitharrogate.com) if you are running the 5K and to Gio (gio@crossfitharrogate.com) if you are running the 10K. To help you build your running we are also starting a beginners running group this Sunday at 9.30am, it will follow a run/walk programme and will help build towards being able to run a 5k continuously. See the schedule to book on this class.